A beautiful flower arrangement suitable for any occasion. 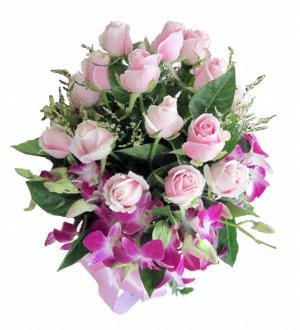 This consists of 18 pink roses and some beautiful traditional Thai purple orchids. Around 40 flowers in total.